SILVER SPRING, Md. 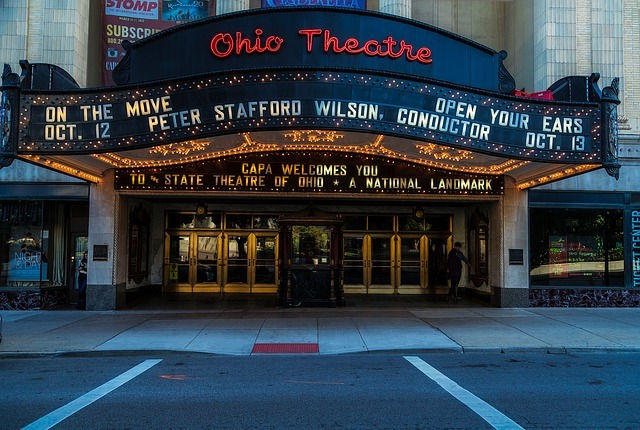 --- Adventist leaders have written a stern letter to major American theater chains demanding that they dramatically increase the "quantity and quality of theater lobby angel seating." The letter demands obedience to a footnooted, multi-page "compliance document" that goes into extensive detail about the need for "lobby seating equal in supply and cushiness to your in-theater seating." The strict instructions also ban any movie previews for films with more than a PG rating from being shown in the lobby "as angels waiting on theater goers would approve nothing more intense." The letter suggested that as an alternative to previews, Sound of Music could be played on repeat in theater lobbies. "It is the one film we know for certain is 100% angel-friendly." Wait, you’re telling me they actually enter the building? So theoretically, if there’s a fire, they could whisk us out. What a relief. Which angels are you referring-good or bad? I need to know when I am at the ticket window. Elizabeth-angels do not allow man-made barriers to keep them from entering or exiting. I know this for a fact!